Some people think there's no way to improve on the natural, timeless beautify of a golden-hued hardwood floor. Others are looking to have all the classic qualities of hardwood floors without the standard 3 inch plank width style. If you find yourself in the latter camp, here are a few fun ideas to consider. 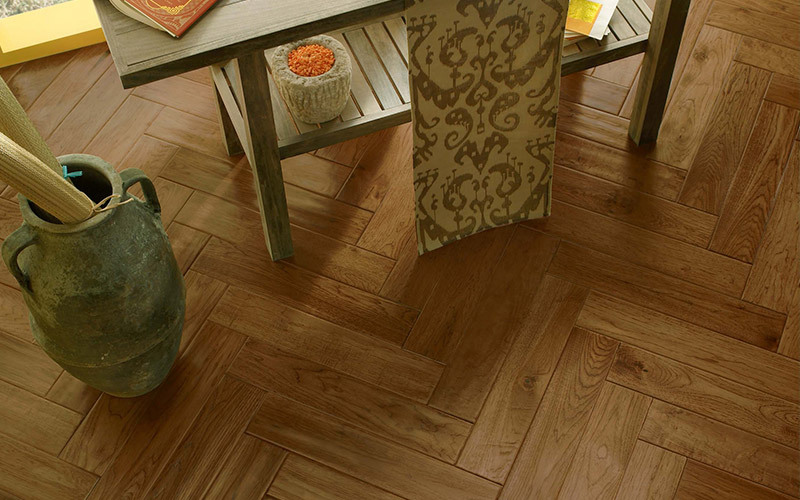 A floor with varying width planks can add a lot more interest than a floor with all the same sized planks. You can also lay the planks in creative fashion - diagonally, with a different color wood border, or create your own parquet floor. Instead of staining the floor all one color, consider staining squares in alternating shades of natural wood to create the look of "tiles." If you are an artist - or you know one - consider painting a one-of-a-kind mural or "mat" on your hardwood floor. You'll need to properly prepare the floor by removing the varnish, sanding and priming the floor. Select paints specifically made for wood floors and let your creativity shine. Note: this would void the warranty on your floor so it may not be the best idea for a brand new hardwood floor but it certainly is creative! Don't let traditional hardwood fool you. Think outside the box and hardwood can create a contemporary, fun, very creative floor. Want some more ideas? Talk to our free in-house design staff today!